Welcome to The Orange Box 10th anniversary day! We've created new features around each of Valve's games. The Orange Box unlocked on Steam at 00.01 Pacific time, 10 October 2007. 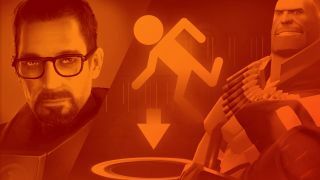 Ten years later, we've put together a series of articles celebrating this unforgettable bundle of Valve's games, with new features on Half-Life 2: Episode Two, Portal and Team Fortress 2, as well as an interview with Valve on what this release represented back then. We've also published Tom Francis's original reviews of the games from the UK magazine, for some context on what it meant to PC Gamer for all of that to launch at once.